A 30+ year fan and a New Series fan reviewing every televised Doctor Who episode from 1963 and on. Wow, where have we been? Well, after some technical difficulties, we’re back! This week, not only are we presenting you The Crusade, but we managed to find some outtakes to add to the Cast, just as our way of saying thanks for stinking with us! Some have called it the greatest, most ambitious Doctor who story of all time. However, the words Doug wants to use most to describe it are NSFW. This week, your Companions get caught in the Web Planet…can they survive long enough to escape?! Ian becomes a gladiator, Barbara catches the eye of the Emperor, and the Doctor give Nero a very hot idea. This week, we go back in time to 64 A.D, and hang out with The Romans! **** We messed up on the music track…correct one listed below, with the iTunes link as usual. One Companion leaves, but another is soon found. This week join us for The Rescue! They came, they saw, and they conquered…but they didn’t count on the Doctor! This week it’s the Dalek Invasion of Earth. The Doctor and his Companions finally land on modern day earth, but there’s a catch: they’re only an inch in height! Do you really think that will stop them from bringing a murderer to justice? We didn’t think so. This week, it’s the Planet of Giants! We may be late to the party this week, but come and join us as the Doctor and his Companions land right smack in the middle of the French Revolution! This week the Doctor and his Companions learn the dangers of hitch-hiking when the TARDIS lands inside a spaceship at the mercy of the mysterious Sensorites. Maybe someone should have brought a towel. But have no fear, the Grind is here! Music Track, “Doctor Who (From Dr. Who), by Tardis. The TARDIS is trapped inside a tomb, Barbara is mistaken for a god, Ian finds himself in a fight to the death, and the Doctor puts some sweet Time Lord moves on one lucky lady. Oh, and Susan does some stuff too. It’s the Aztecs people! So come and join the Grind. A sea of acid, five mysterious keys, one courtroom drama, and let’s not forget the super intelligent brains in jars. Can the Grinding Companions survive long enough to recover the Keys of Marinus? Take a listen and find out. From the Roof of the World to the Assassins of Peking, they said it was lost, but the Grind has managed to review the lost story, Marco Polo! The Doctor and his Companions are trapped inside a malfunctioning TARDIS, and find themselves at the mercy of a rushed script! But don’t fret boys and girls, Doug and Marsh are here to save you from the Edge of Destruction! This week Doug and Marsh land on Skaro to review the second ever Doctor Who story, The Daleks! Cue the trumpets and the dancers, it’s here, it’s here, it’s finally here. Episode One: An Unearthly Child. 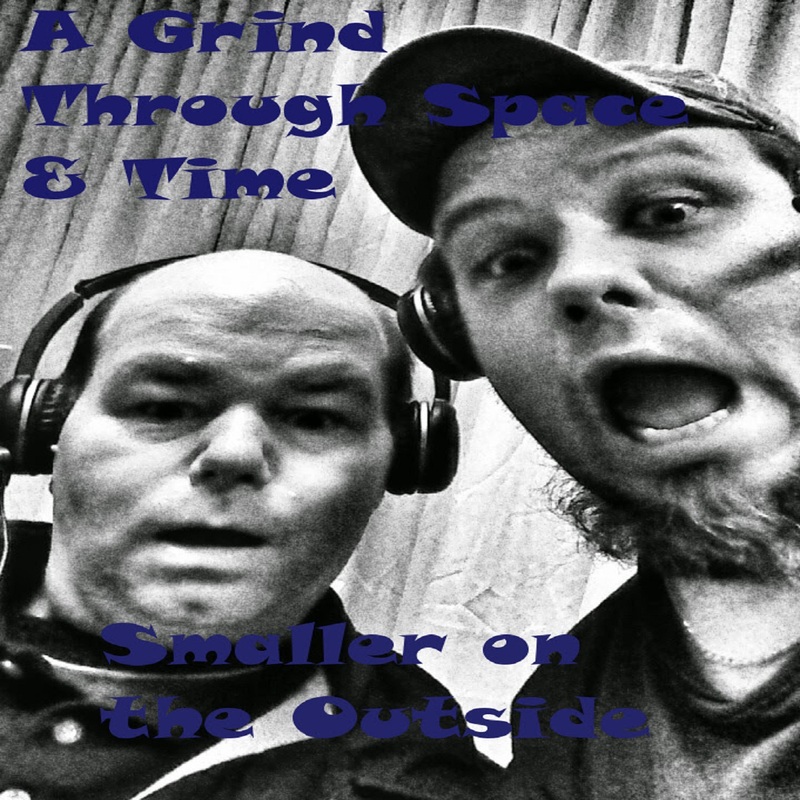 Welcome to the inaugural episode of A Grind Through Space and Time, where Doug and Marsh endeavour to review every Doctor Who episode possible. A tall order? Maybe. But give a listen and, before we step foot into that old blue box, find out just who these jokers, your companions through the Grind, think they are.